Copyright is a hot topic these days. Ever since content became digital, artists, creators and consumers have dragged issues like copyright, streaming, torrents and sharing into fierce debates. There’s a lot misinformation out there. Copyright is a big subject. What you can and cannot do with someone’s creation differs depending on what the creation is, the country you live in and how the work is being used. Today I’ll begin a series answering the question: how does copyright affect sound effects? I’m not a lawyer, but I do have experience. My answer to the question comes from over ten years of experience selling sound effects online. I’ve researched the ideas in detail using online resources, which I’ll cite below. Why is copyright important if you’re using sound effects? Why is copyright important if you’re selling sound effects? I saw a post on a forum a while ago asking questions about copyright. I also have my customers who download sound effects on Airborne Sound asking how they can use the sound effects they’ve purchased. 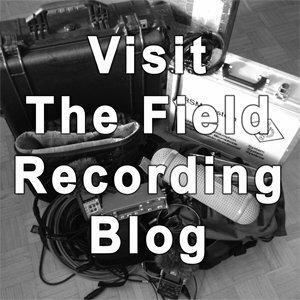 If you are field recording sound effects, this post will help you know your rights. If you have an usual idea for using sound files this series will tell you what you can and cannot do. What information you need to know is based on how you are using sound effects. Are you a customer wondering if it is legal to use sound effects in a certain way? I’ll write about this scenario next week. 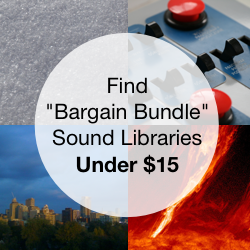 The week after I’ll write about things you should keep in mind when building a sound library or selling sound effects. Today I’ll provide an introduction to copyright and sound effects. Copyright seems to carry a negative connotation. It has an air of a pending legal threat. Another way of thinking about copyright is seeing it as respect. What do I mean? You’re an artist. You’ve created something no one else could. It came from your own perspective, history, insight, imagination and time investment. Copyright protects and rewards this. It considers the creations special and unique. As soon as you create a ‘fixed’ or complete work and it is saved to any medium (computer, paper, tape) you officially own the copyright to that creation. Just having an idea, or even talking about it, isn’t enough. You need to express and record the creation somehow. You don’t need to register anything to have your creation copyrighted. Your works don’t need to be ‘asserted’ or ‘declared.’ Your rights are automatic. It’s important to note that copyright is more than just ensuring you get the money you deserve from your creation. It also guarantees that it cannot be duplicated or shared, even for free. Copyright is a method of protecting what you created. Only you have the authority to decide who can use your creation, and how. Copyright has a long history, and it packed full of clunkily-named treaties. Hold on tight as we briefly wade through legalese. The Berne Convention created an international treaty for signing countries in 1886. It followed on the heels of the Paris Convention in 1883, and was much wider in scope. The World Intellectual Property Organization Copyright Treaty (WIPO) updated the Berne Convention to deal with digital creations in 1996. It was an attempt at an ‘one size fits all’ treaty and because of that it is a bit cumbersome. Most countries have modified the WIPO treaty to suit their needs. The Digital Millennium Copyright Act in the United States, for example, was created to ensure people cannot break digital locks or copy protection of digital content. It also deals with copyright on the Internet. The European Union’s Copyright Directive, Canada’s Copyright Act and the United Kingdom’s Copyright, Designs and Patents Act of 1988 are other examples of how copyright is specifically adapted to a country. Exclusive control. You, the creator, have sole control of how the work is used. The right to exploit. You decide how your creation can be used. The right to license. Licensing gives others permission to use your creation. As the copyright holder, you decide who can license your work and how. This is important for those of us publishing sound effects. Whenever you sell a sound effect you’re actually granting the customer a license to use that sound in a specific way. Legal remedies if other people use your creation other than what you describe. The Berne Convention established that you own the copyright for your creation for your life span plus 50 years. Individual countries have modified the Berne Convention to suit their own needs. After that time has expired your creation is in the Public Domain and anyone can use it without any restriction at all. Of course we wouldn’t have file sharing debates if the issue of copyright was completely black and white. Fair use describes acceptable uses of copyrighted material. Someone is able to use copyrighted material if it falls under commentary, criticism, news reporting, research, teaching, library archiving and scholarship. Purchased copyrighted works can be duplicated for personal back up purposes. The sharing must be private (only to other media that you own). The act of transmission to others, or distribution, is a breach of copyright, and is illegal. Some private copying is allowed, usually for backup purposes. This is under the archival category of fair use. Permission to copy differs by country and the wishes of copyright holders. Many sound effects libraries allow one workstation copy, and one backup copy. Canada allows private copies for personal use, which means you can duplicate the sounds you’ve bought as many times as you want, but they must remain private (i.e., not shared). This may not last long though. Bill C-32, if passed, would make it illegal to circumvent copy protection and make back up copies. 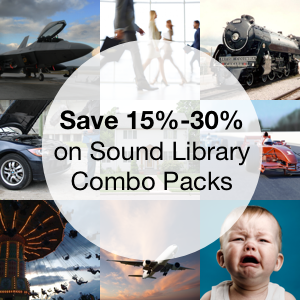 Most libraries require additional fees if you are storing the sound library on a network, usually to compensate for each workstation purchasing a copy. A derivative work is any new work based on an existing creation. A dragon sound effect created from blending a thunder clip and lion roar then applying reverb and pitch processing is an example. Derivative works are allowed under copyright law. This is because of the belief that creation does not happen in a vacuum; any creation must base its inspiration on something else. The grey area derives from how much the creation has changed. Mashups are also in this category. Derivative works are acceptable if they modify the original copyrighted source substantially. If the new creation is so different that it is seen as ‘highly beneficial to the public’ then it’s fine as well. If the copyright restricts usage so much, how can people use sound effects? Simple: they purchase a license to the sound. Licensing grants customers permission to use copyrighted material, but only in specific ways. Mechanical rights. Allows tangible copying and reproduction (i.e., burning CDs of sound effects). Publishing rights. Allows copying of lyrics, sheet music or covering a song. Performance rights. This gives permission to play the song in public, or broadcast it over TV, in film, on the Internet, etc. Synchronization rights. This gives permission to combine the music or sound effect in time with other music, sound or video. Each license is crafted by the copyright holder. This allows them to outline what people can and cannot do with their creations. Sound websites generally only allow synchronization rights. Don’t remember buying a license when you downloaded sound effects? That’s because agreeing to a license is implicit when you download a sound. On sound websites this is usually expressed in the End User License Agreement. This is an agreement the customer automatically agrees to whenever they download a sound. People must purchase a license to gain the right to use the copyrighted material. Sometimes they pay royalties. In other words, they must pay a fee every time they use the copyrighted material. This is common with music libraries. They require you to pay every time you play the song. This is known as “needle-drop” licensing. This is a anachronistic term from they days when they would drop the needle on LPs playing on a radio station. Radio broadcasting is a good example. Each time a song is played the radio station must pay a fee for privilege to air it to their listeners. The size of this fee depends on the reach of the broadcast. For instance, playing a song on a national radio station requires a larger fee than playing the same song on a local station. Some copyright holders prefer to avoid the bookkeeping needed to track royalties. Instead they allow users to pay one price initially and then never again. Customers then don’t have to worry about paying every time they use the creation. This is the case with sound effects Web shops and CD libraries. People pay one price up front and then can use a sound clip as many times as they like. This is known as royalty-free, or sometimes buy out. You’ve likely heard the term royalty-free sound effects. This doesn’t mean that the sound is free. It just means you don’t pay every time you use it. Sound effects do away with this, so they are ‘royalty-free.’ It’s a useless term these days since all sound effects are sold this way. 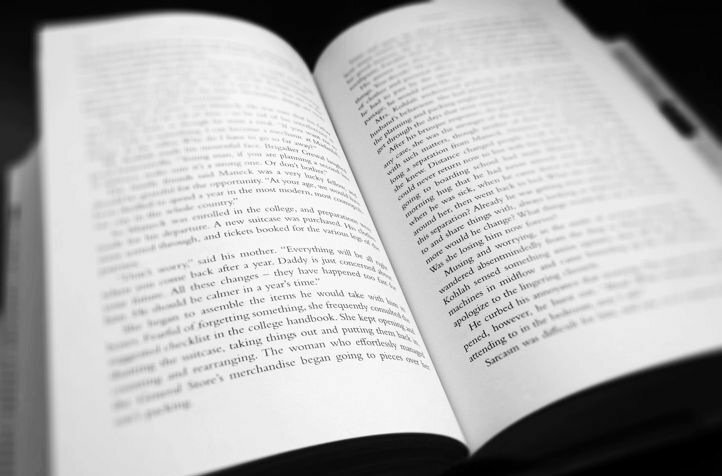 In this article we’ve discussed why copyright exists, how it is applied and its history. We’ve also seen benefits copyright gives creators, and how long it lasts. We’ve seen the grey areas of copyright, such as sharing and derivative works. And, finally, we’ve seen how licensing grants permission for others to use the protected work. So now we know how the copyright basics. Next week we’ll look at how copyright and licenses affect those of us that buy and use sound effects.